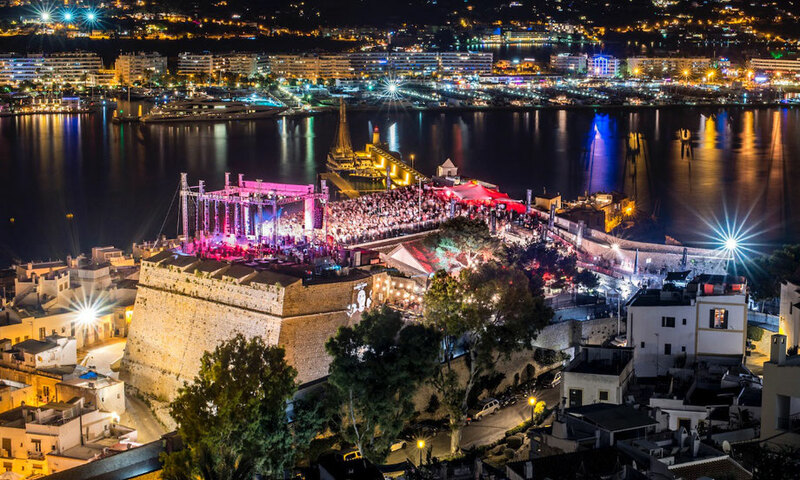 International Music Summit (IMS) today announced details of its annual Dalt Vila event in Ibiza Old Town, the finale of the summit which some regard as the official opening of the Ibiza summer season. 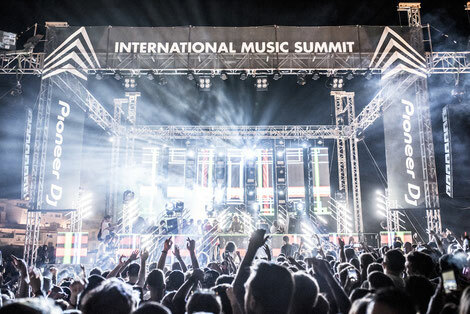 Now in its 11th year, IMS Ibiza is a three-day educational and thought leadership platform for the electronic music industry held annually in the dance music capital of the world. 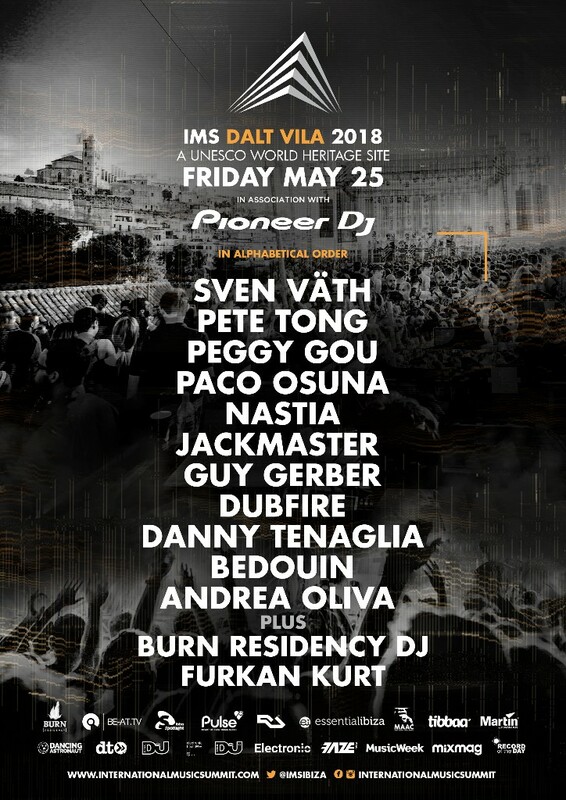 For this closing finale IMS has curated possibly one of the most unique line up that Ibiza will witness in 2018, with a backdrop of the sun setting over the historic 2,500-year-old fort and UNESCO World Heritage Site, overlooking Ibiza Old Town and the Mediterranean Sea. Headlining is Sven Väth, the strictly vinyl only DJ with a career spanning more than 30 years returns for his third IMS Dalt Vila appearance, following his recent news that his long-running Cocoon Monday weekly will switch venues to Pacha after 18 years at Amnesia. Also announced is New York DJ Danny Tenaglia and Israeli DJ Guy Gerber. Other sets will come from Paco Osuna, Andrea Oliva and IMS co-founder Pete Tong; all seasoned Ibizan artists with long and rich histories on the island’s dancefloors. Ensuring the international pace is upheld is Korean artist Peggy Gou and Middle East influenced DJ duo Bedouin who in 2017 introduced Bedouin Presents Saga at HEART, one of the new residencies in Ibiza last summer. Adding further strength is Dubfire and Nastia, the break out Ukrainian artist and Jackmaster, a DJ whose profile has grown in the last five years with his blend of house and techno. The event will also feature an opening set from BURN Residency 2017 winner Furkan Kurt. With further exclusive back-to-pack pairing announcements coming soon, this line up celebrates the closing of IMS Ibiza and the opening of the summer season on the island.